Fusion weddings, or weddings that combine two or more cultures, can seem like tricky territory for a bride and groom. 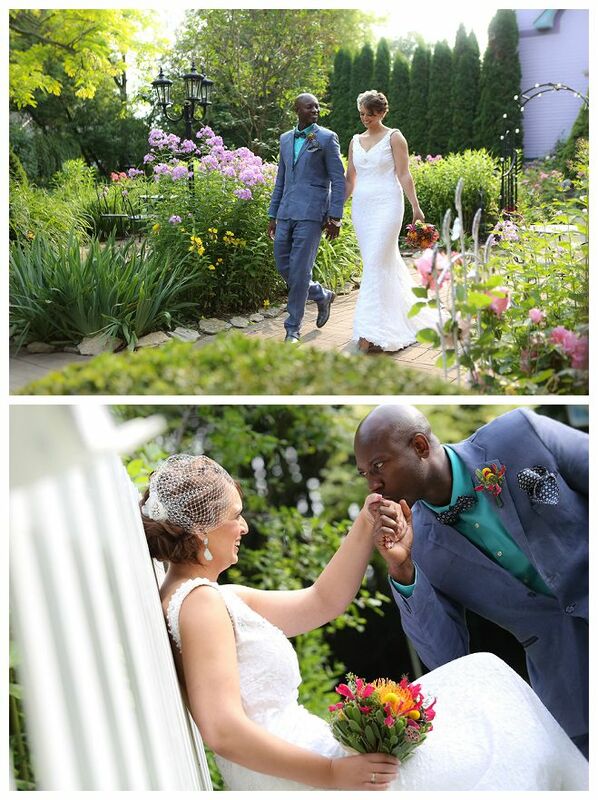 But when Casey married Frederick, who is from Ghana, Africa, the two blended their backgrounds quite beautifully. The ceremony was like any traditional wedding you'd see in Wisconsin. 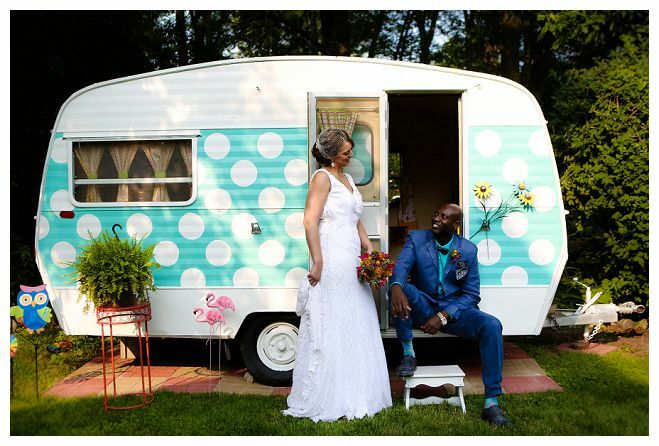 The bride wore a gorgeous white gown and a birdcage veil, and the groom and his groomsmen wore matching blue suits complete with aqua-hued shirts for a vibrant pop of color. The bridesmaids all wore yellow, with their shoes matching the men in hints of turqoise. 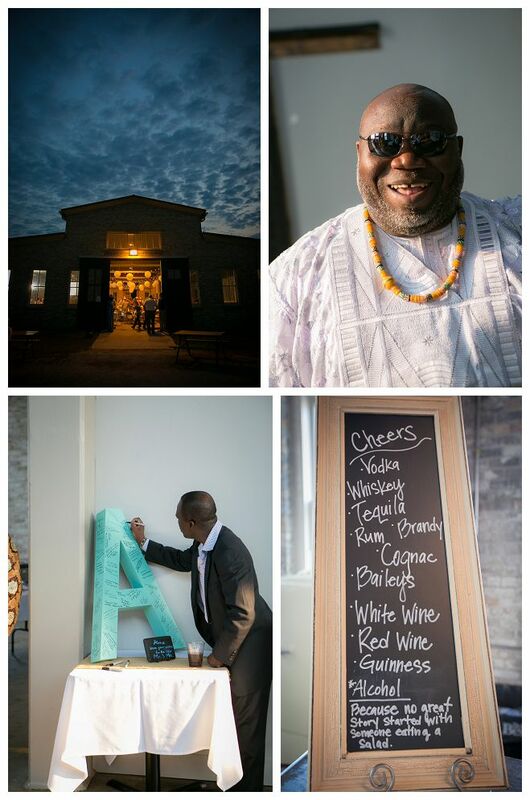 Casey and Frederick had no fear of using color in their wedding, and carried over the blue and yellow theme into a reception that highlighted Frederick's African heritage. 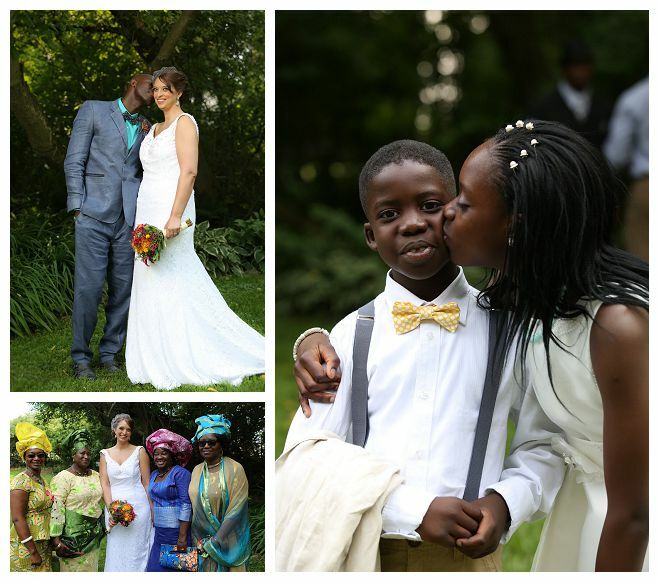 The bride and groom changed into African attire, and the wedding party all adorned African headpieces. 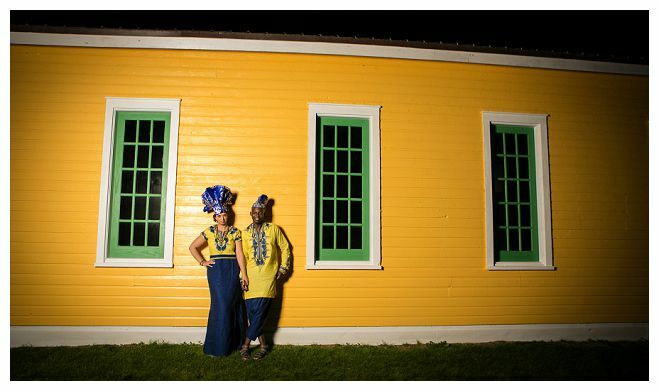 While photographed by Marc & Shayna AMENSON Studio, the two families and guests danced the night away at a boldly hued party celebrating how in the end, love really sees no color. 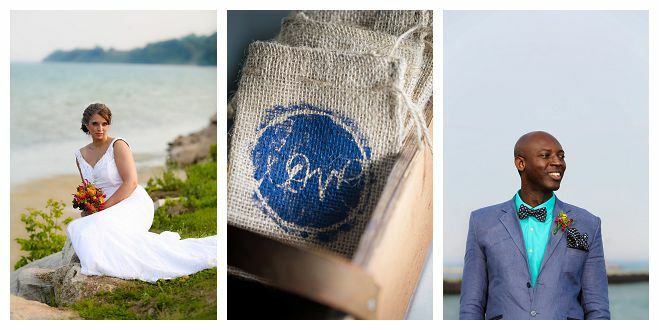 Casey and Frederick met in Madison, and their first date was at the lovely modern restaurant, Fresco, located on the top floor of the Madison Museum of Contemporary Art. When they later got married, they had a lovely bright yellow and royal blue wedding at the Hollyhock House in Kewaunee. 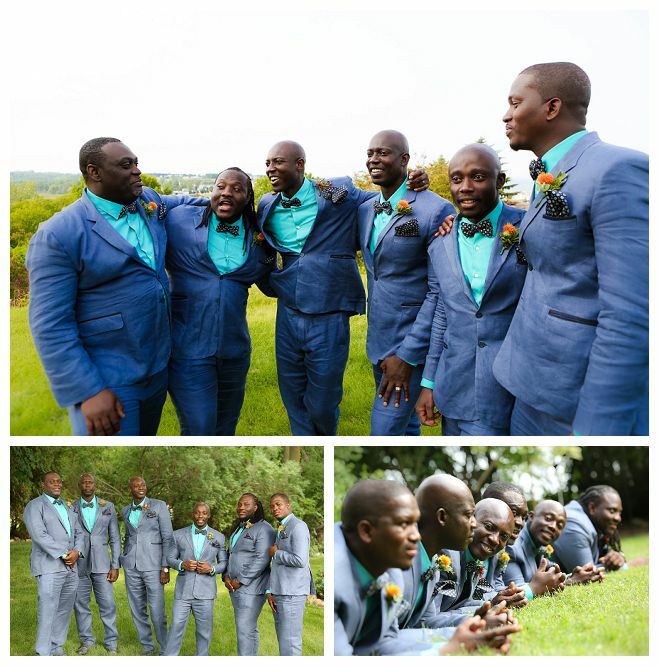 Frederick is from Ghana, Africa, so they had the groom and groomsmen suits handmade in Ghana. The bridesmaid dresses came from Brandi's Bridal. 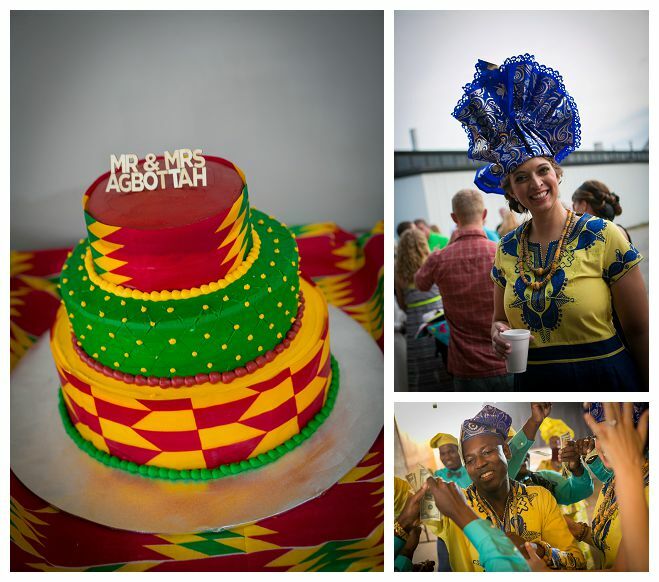 They had American food catered by Julie's Cafe and the groom's family and friends made traditional African food. 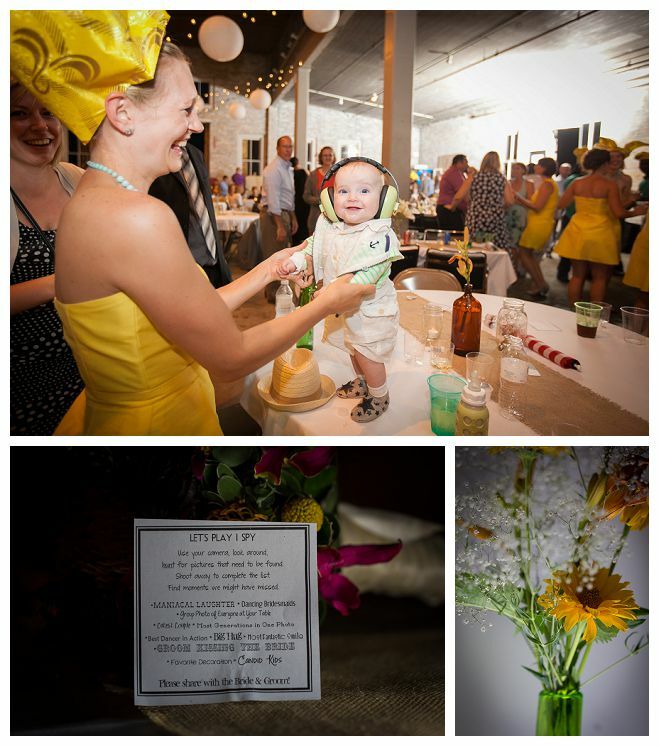 There was so much dancing and fun at the reception, which was held at Lakehaven Hall. For the grand march the bride, groom, and wedding party changed into African attire. The evening ended under the stars along the beach while letting some lanterns go along the lakeshore. What a beautiful event! Everything about the couple’s big day was uniquely personal, starting with the music that filled the Basilica of St. Josaphat. Jackie and Tommy's wedding was full of travel-themed decor to celebrate their love of exploring new places. Chelsie and Tom envisioned a barn wedding that wasn't too rustic, focusing instead on modern and earthy elements with a neutral palette. 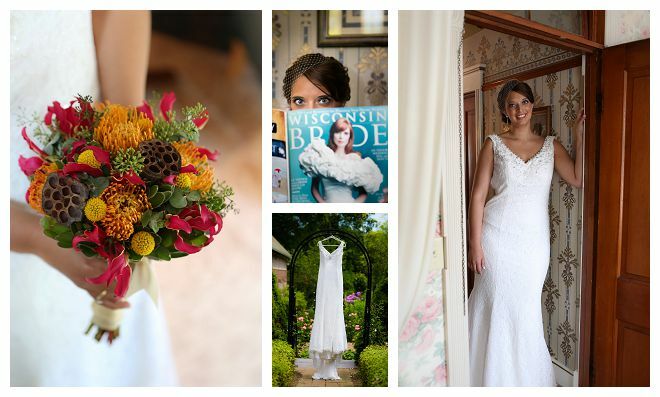 After meeting in high school, Annice and Eric dreamed of a whimsical wedding on the bride's family property.